Sean Osceola allowed no earned runs in his outing. For the first time ever, the Doral Academy Firebirds are heading to the state tournament. The Firebirds punched their ticket after a 2-0 win against the Okeechobee Brahmans in the 7A regional final on Tuesday afternoon. Both teams came in with a lot of momentum, as the Firebirds were winners of twelve straight, and Okeechobee defeated a tough Dwyer team and took down their district rival, Martin County, to get there. But the Brahmans’ Cinderella run ends, but manager Eric Kindell was proud of his team. Pitching dominated the day, as both teams combined for only seven hits. 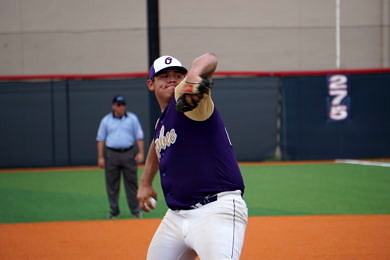 Okeechobee starter Sean Osceola and Doral starter Adrian Figueroa brought their A-game, keeping the game scoreless through the first two innings. Doral finally struck in the bottom half of the third. With two outs, Lency Delgado doubled to right field, setting up an RBI opportunity for Gabriel Gutierrez. Gutierrez blasted one over the right-center fence to give Doral a 2-0 lead. I was the only mistake Osceola made all game. The Brahmans went deep in their first regional run since 2014. “I was just trying not to strike out and put the ball in play,” Gutierrez said. That was more than enough for Figueroa, who hasn’t allowed a run in the 15 innings he’s thrown this postseason. “This is where the good players become great players. 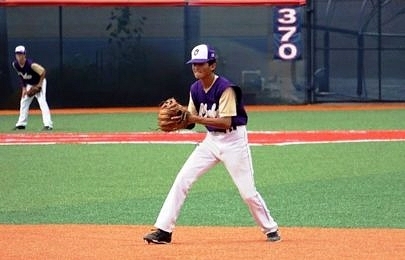 Once we hit playoffs this is where it all counts,” Figueroa said of his success. Entering the sixth inning, Figueroa’s pitch count was climbing, and Suarez elected to go to his bullpen. In to shut the door was Victor Cabrera. Cabrera struck out the two batters he faced in the sixth, and talked about his mindset heading into the biggest inning in his young career. Cabrera struck out the first two hitters of the inning. But with two outs, Okeechobee’s Mason Adams shot a double in the gap to keep their season alive. Unfortunately, that double was all they mustered with their final swings. Cabrera struck out the next hitter to clinch the title and send Doral Academy packing for Fort Myers.